Figures obtained from watching calling birds. Each bird only counted once. Percentages are rounded to nearest 5 for individual localities. 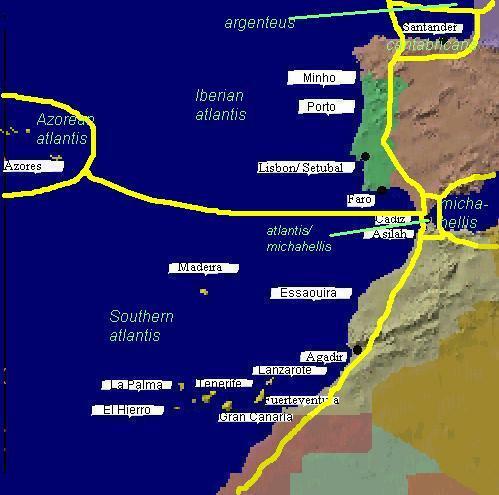 The ranges of the Cantabrican, Iberian, Azorean, Southern and Mediterranean/Atlantic intersection forms are given at map. + -- noted but less than 3%. Table 4: Percentage of Wingtip Patterns by Location for Adult Atlantic Yellow-legged Gulls. From an analysis of close-up photographs with material from Newell (2000) for San Sebastian and Teyssèdre (1983) for the Azores. The ranges of the Cantabrican, Iberian, Azorean, Southern and Mediterranean/Atlantic intersection forms are given at map . P10, P9: Tip - complete white tip; LM - Large Mirror; SM - Small Mirror; M - Mirror present. P6-P10: Solid - square-cut triangular area of black from outer web of P6 to tip of P10 to P10 intersection with its covert; SI - Small indent into black triangle; LI - Large Indent into black triangle as in argenteus. Some quite pale, others with speckles on front and sides of head. Fairly dusky, obvious dark eye spot, light streaking on front of head, forehead can be paler; many half-hooded. Half-hooded (50%) with prominent darkish area on crown, around eye and throat; forehead, nape and neck are whiter. Remainder less marked. From an analysis of close-up photographs and from field study by the author, except for the Azores where from Wilds & Czaplak (1994) for August and September and Bakker (2000) for October and for Madeira where from Regan & Fisher (2001). Copyright © Nick Rossiter 1999-2003. All rights reserved.